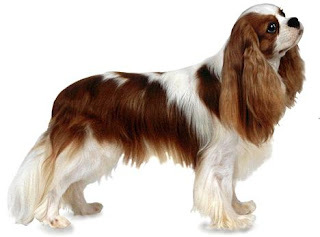 This is a small breed of Spaniel-type dogs, quite agile and graceful. It is one of the smaller breed of spaniel, because of which an adult Cavalier is of the same size as adolescent dogs of other spaniel breeds. This breed has been gaining immense popularity in the United States since 2000 and is at present one of the most popular breeds in United Kingdom. This breed has a very amicable, devoted and adoring nature and is good with children and other animals.